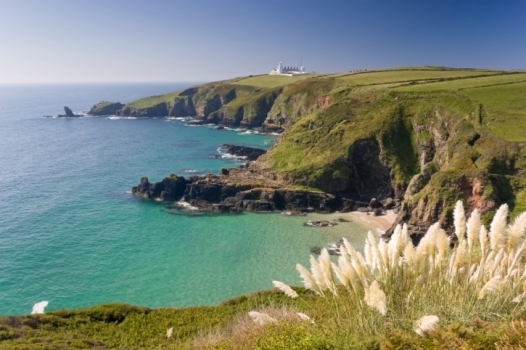 Take a look through our breathtaking marketing and web design in Cornwall. 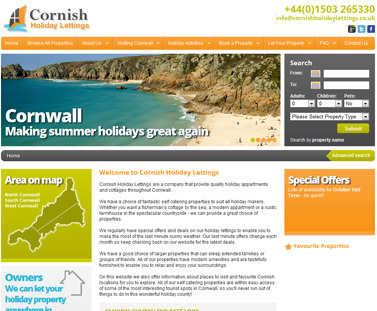 Cornish WebServices design beautiful websites which are highly visible to search engines. We have produced a range of websites from basic marketing sites to online shops to complex online booking systems, and everything in between. Take a look at the amazing range of websites we have built for companies just like yours in Cornwall and all over the world, or for a more in-depth look at our gorgeous branding and design work hop on over to our design portfolio instead. Are you based in or around Cornwall and looking for inspired Cornish web design to help your business to grow by attracting new clients? Do you need a website design that fits well into your marketplace whilst still making you stand out from the crowd? Does your business need to become highly visible in order to grow your customer base and improve your bottom line? As well as our design offices based in Cornwall we have teams in Kent and Wiltshire, and we can create websites in many languages which lets you reach your customers all over the world in whatever language they speak. We can handle website design in non Roman alphabets like Chinese and Russian, and even semitic text like Arabic and Hebrew. A website should be an effective marketing tool, whether you are a B2B corporation, a school, a healthcare provider, a hotel, an online shop, a not for profit organisation or anyone else who wants to be able to grow their business by harnessing the power of Internet marketing. All our websites act as highly effective marketing tools and are highly valued for government agencies, charities, schools and anyone else who wants to grow their online presence. We are one of the few digital agencies in the country who are ISO9001 certified, giving you assurance of top quality work, and we never outsource to external agencies - all development and design is handled in-house. We've even designed our own content management system, the Cornish CMS, which is the first content management system ever developed that search engine optimises your website as you write it - so your online marketing becomes a snap. We also offer a full spectrum of marketing services including SEO, PPC management, social media management, email marketing and strategic marketing consultancy, so you can be sure your entire business will reap the benefits. We can design and build brand new websites with turnaround times as low as only two weeks, so if you need to step up your marketing fast then ask about our express services which give you a complete solution - everything from initial website design down to top quality copywriting that will get your online marketing off to a running start with beautiful design and top-notch search engine optimisation built in from the ground up. 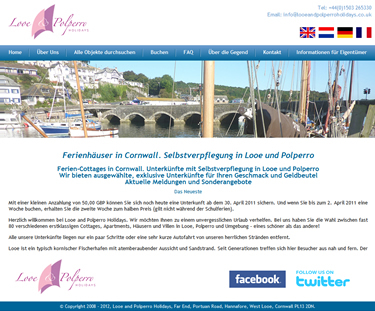 If you are looking for web design in Cornwall, or anywhere in the southwest of England or the rest of the world - in any language - then leave us a message or pick up the phone and call now on 0330 555 4680 to speak to one of our expert marketing team to discuss your needs.